Special legislation passed in South Australia has given Adelaide‘s SkyCity Entertainment Group the go-ahead to create an A$300 million riverside complex expansion. Some are calling it a game-changer when it comes to the entertainment group’s bottom line and casino gambling in South Australia. 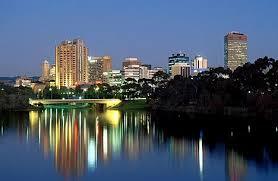 The South Australia government put into play legislation extending an exclusive caino license to the entertainment group and casino. This amendment of the existing caino authorization law enables the group to extend its excessive franchise to the year 2035. It also paves the way for cashless gambling and ticket in, ticket out, or TiTo, technology. The amendment lowers tax rates for gambling and allows an increase in the number of slot machines from 1,000 to 1,500. The number of gaming tables also increases to 200. The A$300 million expansion along the River Torrens banks will bring about new gaming facilitates, dining and a 6-star casino hotel. The development is coming attached to a lot of hype with government officials labeling it the crown jewel of the riverside gambling complex. Officials believe it will be a considerable boon to local job creation and increase tourism. Nigel Morrison, SkyCity CEO, says the new casino complex expansion is important to bringing in Asian high rollers, especially Chinese gamblers. The expansion will aid South Australia in tapping the lucrative and evolving high end Asian market, according to Morrison. SkyCity receives other perks under the newly revised expansion law. The company has greater leeway in assigning maximum bet parameters as well as maximum jackpots and cashless gaming opportunities in the high-end VIP gaming rooms. The new tax rates are going from 41 percent to 34 percent even as the number of non-VIP electronic games are increased with a tax rate set at nearly 11 percent. Non-VIP table game taxes go from just less than 1 percent to 3 percent. The changes in slot machine taxes and machine numbers are needed to make the Adelaide casino competitive with other Australian casinos, according to analysts. Whereas currently Adelaide slots have a daily win rate set at A$180, the daily win rate at Queensland casinos is A$300 and A$360 at Auckland. The market responded to SkyCity moves with stock traded around A$4 after gaining more than 10 percent this year. Analysts contacted by Reuters said the stock was a “buy” with a target price of around $5. The only area in China with legalized gambling, Macau is booming, betting analysts say. Gambling has been allowed in the former Portuguese colony since the 1860s. It has changed a lot of course, transforming from the small-time card rooms and gambling venues run by criminal gangs to a world class gambling center rivaling even Las Vegas and Atlantic City. Macau gambling venues reeled in more than $37 billion in gross casino revenue in 2012. That reprints more than five times the revenue generated by Las Vegas casinos in 2012. Macau is close to mainland China and Hong Kong. It takes an hour, or so, to get to the Oriental Las Vegas from those places. That means some 14 million tourists came to the waterfront city during the first six months of 2013 looking for fun and casino action along the ornate and well-developed casino strip. Of those visitors, the latest Chinese Statistics and Census Bureau accounting found more than 85 percent came from Hong Kong, Taiwan and the Chinese mainland. While gambling has become the name of the game in Macau, it comes with a downside. True, Macau residents have reaped the rewards of better jobs and living conditions. However, the new money and conditions have created soaring living costs. Social welfare systems have been stretched while transportation and health care services have to been improved. Property has become more costly to buy meaning smaller businesses have been pushed out of the marketplace and some residents even have had to declare bankruptcy. some residents have been forced to move away from Macau or share housing. Some gambling analysts call Macau a Las Vegas on steroids. 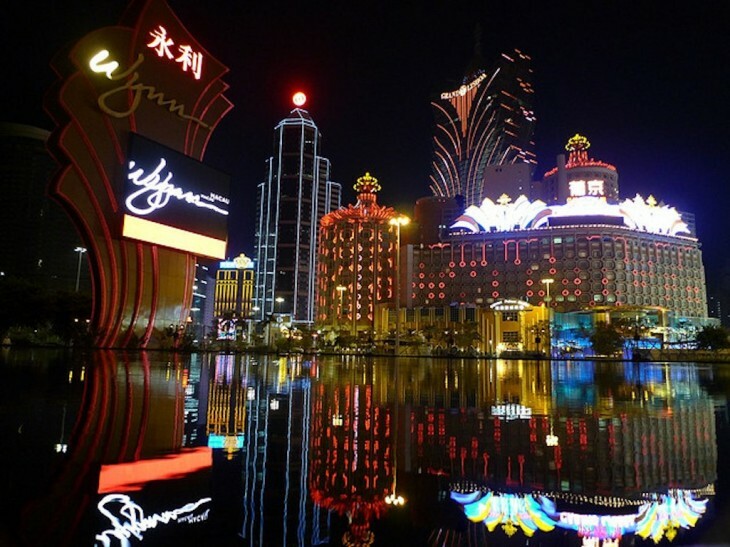 The Macau Gaming Inspection and Coordination Bureau said gambling revenues in July 2013 had increased some 20 percent over the month before while 2013 gambling revenues were rubbing 15 percent greater than the same period in 2012. July 2013 Macau gambling revenues were around $3.5 billion, or MOP$29.5 million. Even though China’s economic growth has slowed in 2013, tourist and gaming traffic in the island showcase has continued strong, analysis added. The number and quality of Macau gambling venues is projected to rise. Gaming magnates are putting in $25 billion worth of new projects. That translates into 30,000 more workers and a projected $5 billion in additional gambling revenues moving forward, experts say.